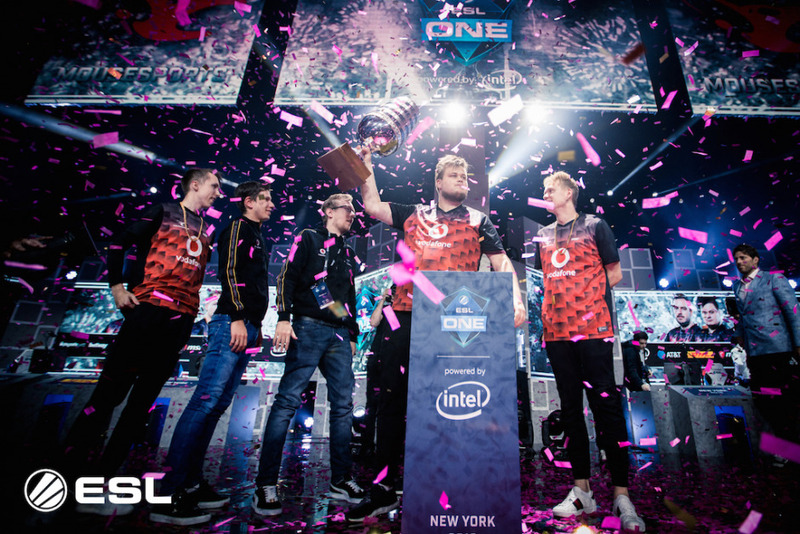 In our blog, you can find everything you need to know about ESL One New York 2018 and a lot of interesting background stories, proudly presented by Official Logistics Partner, DHL, who handle event logistics for the ESL One Series. 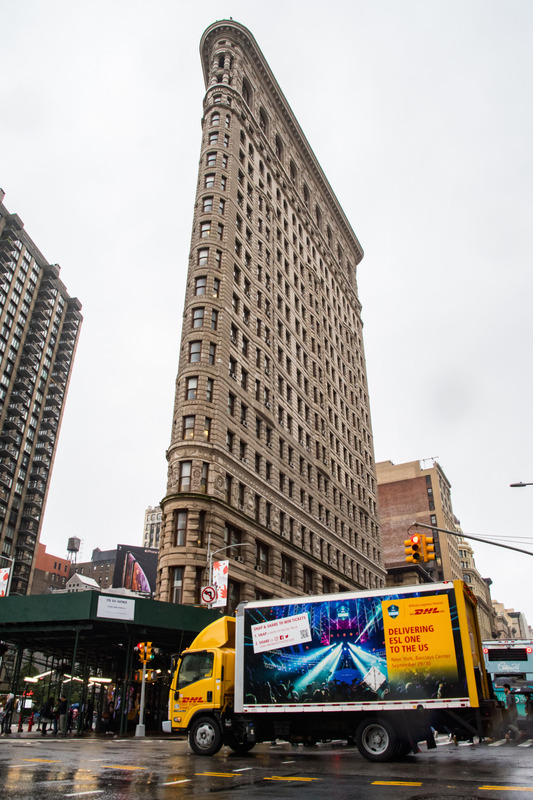 More than 550 tons of materials and equipment were delivered to New York. 750 seats were transported to the Barclays Center and more than 3,200 square meters of TV screen were delivered to make this CS:GO event possible. And the result? An amazing event! To share these special moments with you, we have put a video together showing the moments of the day, delivered by DHL. New York, it was a pleasure! 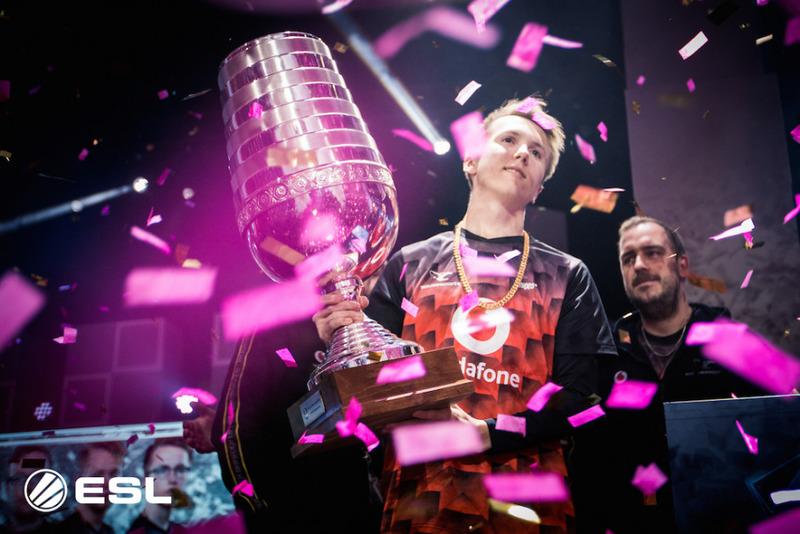 The 2018 ESL One event ended with an unbelievable match in which mousesports defeated Team Liquid by a score of 3:2. 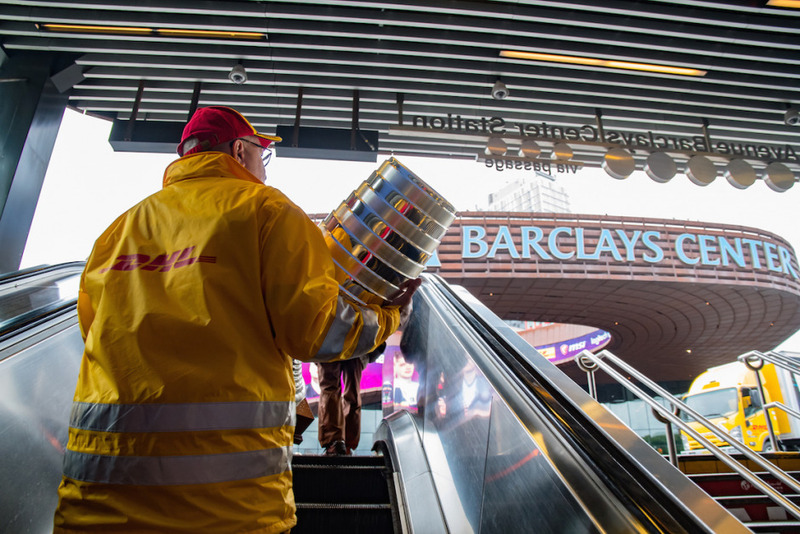 Thousands of people were in the audience at the Barclays Center in Brooklyn during the weekend, where they witnessed a perfectly organized tournament, thanks to DHL. Have a look at some of the impressive images from the event showing special moments filled with emotion. But that’s not all, of course, because an event like this also has a major fun element. Innovation is a key issue for Official Logistics Partner DHL and also for esports. 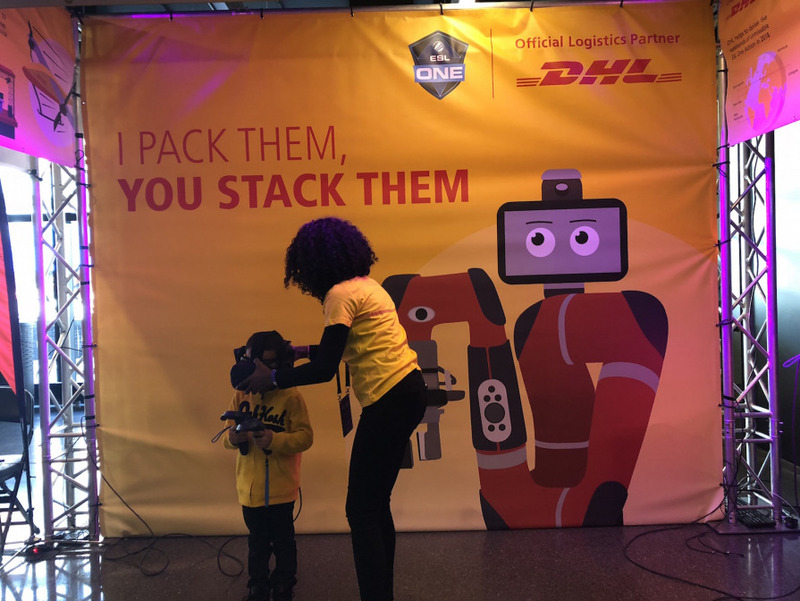 In New York, fans visiting the DHL booth were invited to play an innovative VR game, DHL BoxStacker Pro. 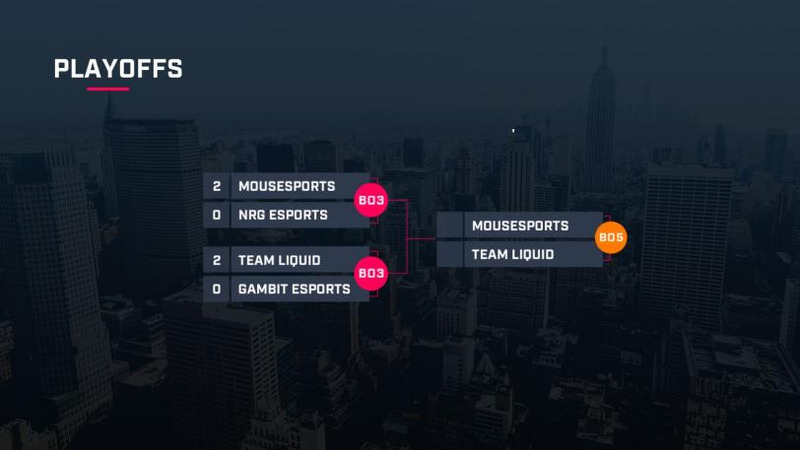 mousesports are the winners of this weekend’s tournament in New York. They take home the princely sum of $125,000 and this beautiful trophy. 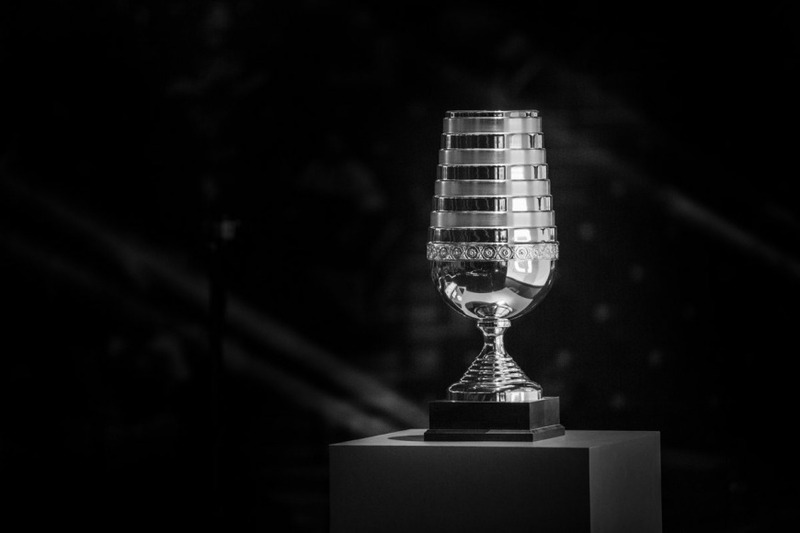 Runners-up are Team Liquid, but second place also brings a rich reward, namely $50,000. The match was really intense, with mousesports taking the initial lead on Cache. 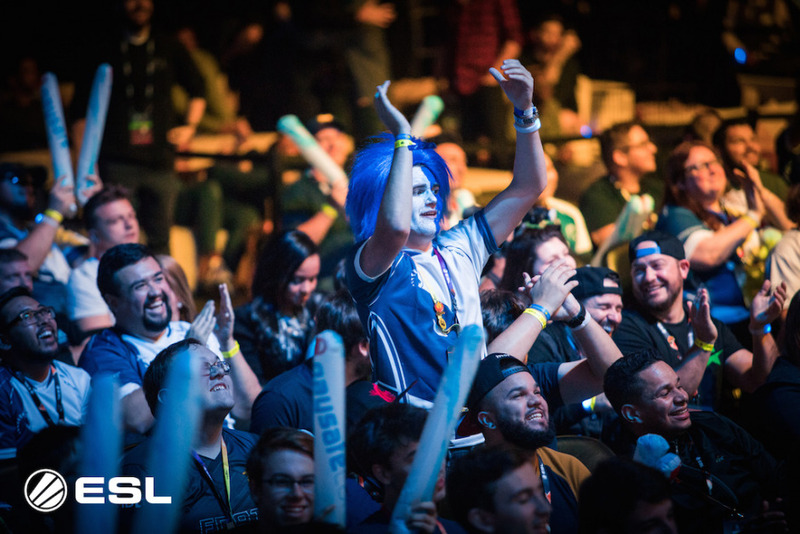 But Team Liquid fought back to win the second map, Nuke, by 16 to 7. The third map was Inferno. 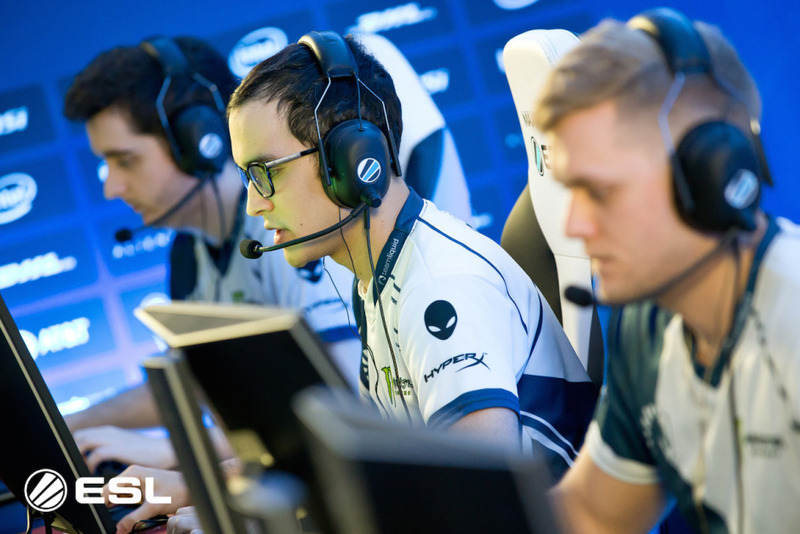 Team Liquid kept up the momentum, winning another round 16-10. The fourth map was Dust2, a very close contest in which mousesports prevailed by a score of 19-17 to tie the match. And so the tournament got the final it deserved. On the fifth and final map, mousesports clinched the victory. The tournament winners are therefore mousesports. They will no doubt be celebrating until the early hours. But in the meantime, it’s good night from us. 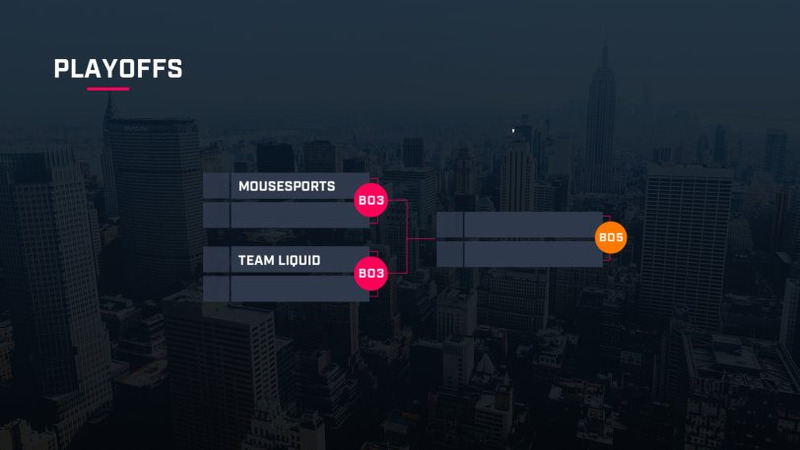 Over the next few hours, mousesports and Team Liquid will go head to head for the overall win. 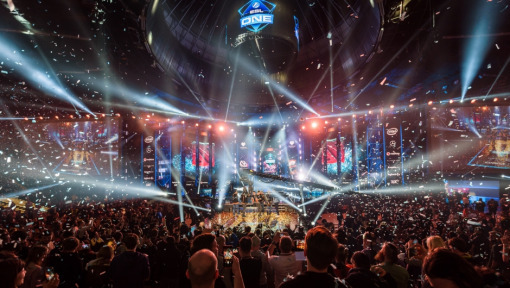 The spectacular pre-show in the Arena will fire the crowd up for the showdown between the two best teams of the week, competing for the $125,000 prize money. 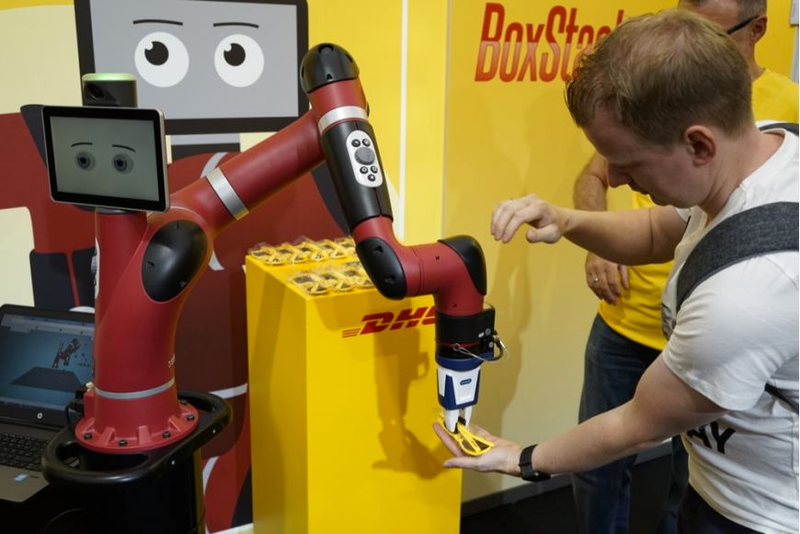 At the ESL One event in Cologne, fans were invited to try their hand at DHL BoxStacker Pro. If you don’t already know how BoxStacker works, the player wears VR glasses and operates two handheld controllers, attempting to sort as many packages as possible. It’s a tough challenge but a lot of fun to play. Allow me to introduce the teams that have made it through to the final. At DHL, we love teamplay, because that’s what makes great things happen. 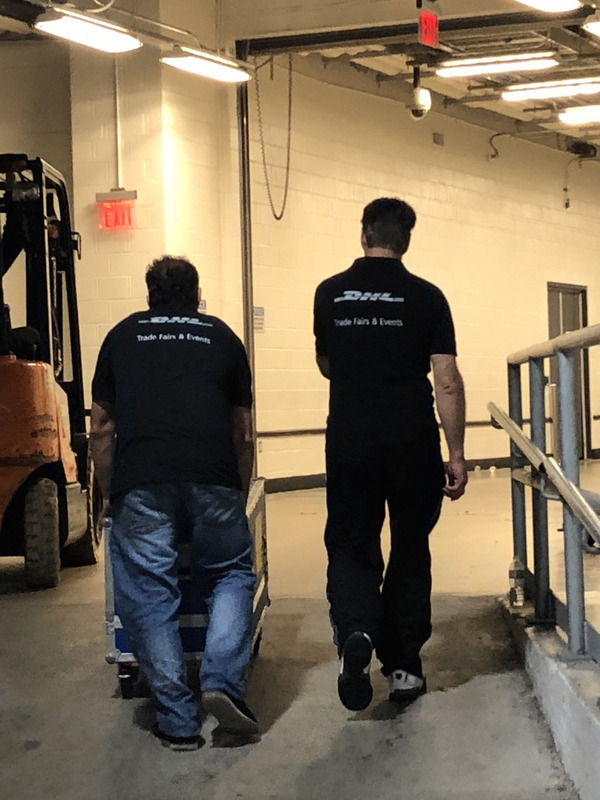 From delivering a parcel on time with a Parcelcopter to organizing the logistics for this event, nothing would be possible without great teammates. And the same goes for Counter-Strike, in which the best players have to count on their whole team to be successful. 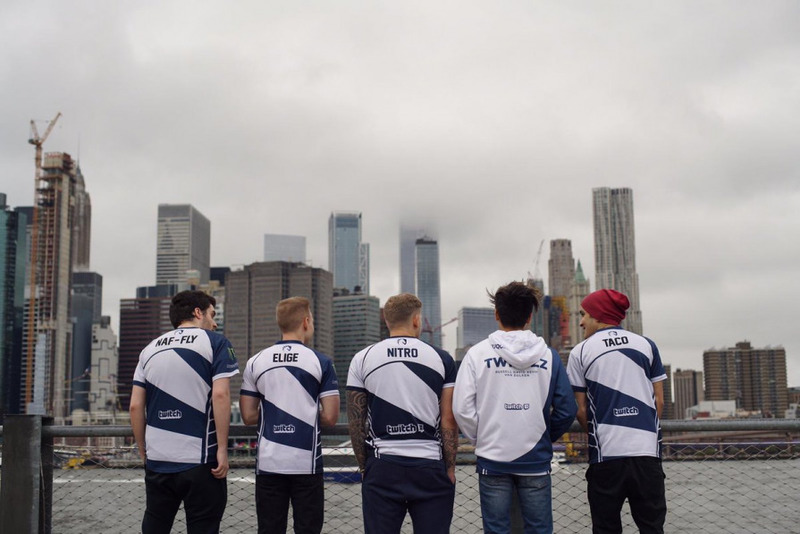 The first of the two finalists is Team Liquid, who took some deep breaths in front of the New York Skyline in preparation for today’s big game. The second is mousesports, an international team founded in Germany. The players preferred to do some autograph signing for their fans, because without them the event would be meaningless. Just a few hours to go now, and we are getting really excited! This time, DHL has also prepared something nice for you. Also shown previously in Cologne, you can try out our innovative VR game. Wearing VR glasses and holding two controllers, you have to try to sort as many packages as possible. DHL BoxStacker Pro is great fun, although it is guaranteed to work you up into a real sweat. Not surprising really, because sorting packages is a job for real experts! Who will win the 125,000 euros prize money? 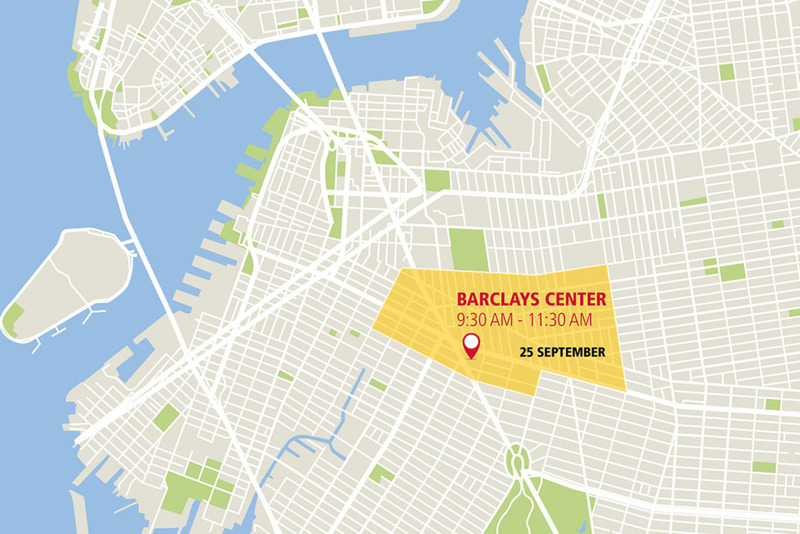 Barclays Center will open its doors at 09:00 am followed by the preshow at 10:40 am. The grand final pre-show will start at 12:25 pm and the grand finale at 01:00 pm. International team mousesports will be facing the American local guys from Team Liquid in a best-of-five match. Tomorrow is finals day, and mousesports will be facing Team Liquid in a battle for the trophy and $125,000 prize money. The grand finale will begin at 7pm local time (GMT-4). It will be a best-of-five match, meaning the first team to win 3 rounds will be the winner. Good night and see you tomorrow! The first game is over, and boy, what a match! 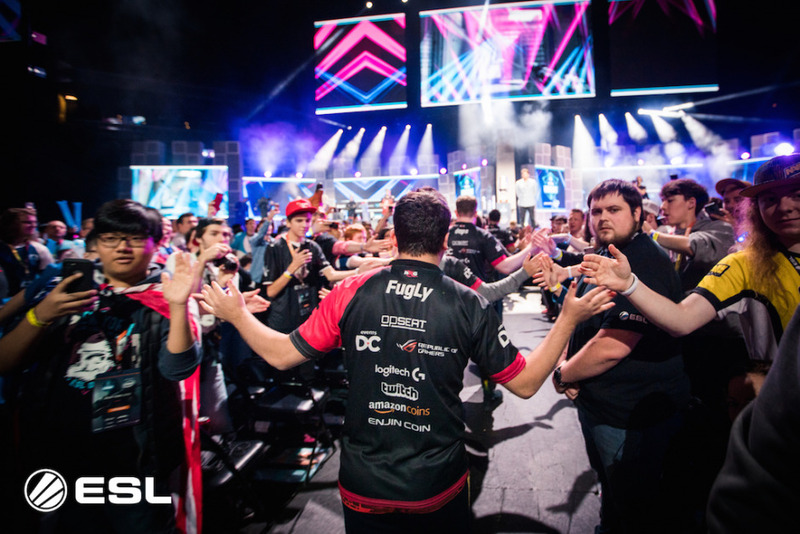 NRGgg & mousesports started off in a best-of-three, and began on Inferno. After an intense match mousesports are the winners by a score of 2-0. Next up is the second match between TeamLiquid vs. GambitEsports. The winner will proceed to the next round against mousesports and will have the chance to become grand champion of ESL One New York 2018. 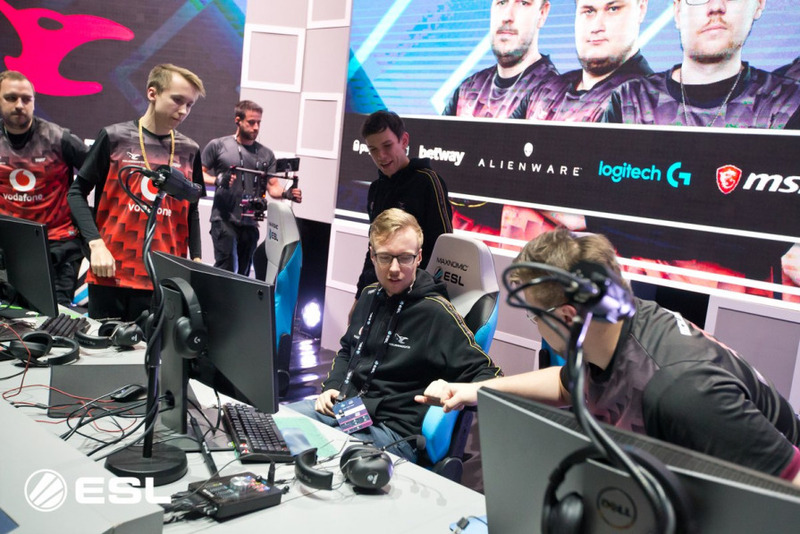 The first game is about to begin in less than an hour, in which Team @n0thing will face Team @brax1wnl. We are already fired up for this game, as mousesports have to play against local heroes NRG eSports.NRG eSports are from California and have rosters in many games such as Fortnite, Overwatch, Vainglory and, of course, Counter-Strike: Global Offensive. The team was founded in 2015, and we will see if the USA-based outfit are able to win their first game in their home country. It is all about the win. The doors to the arena have now been opened, and the fans can’t wait to experience “Moments that deliver”. And don’t forget, the winner will take home this beauty – the trophy! Take a look. 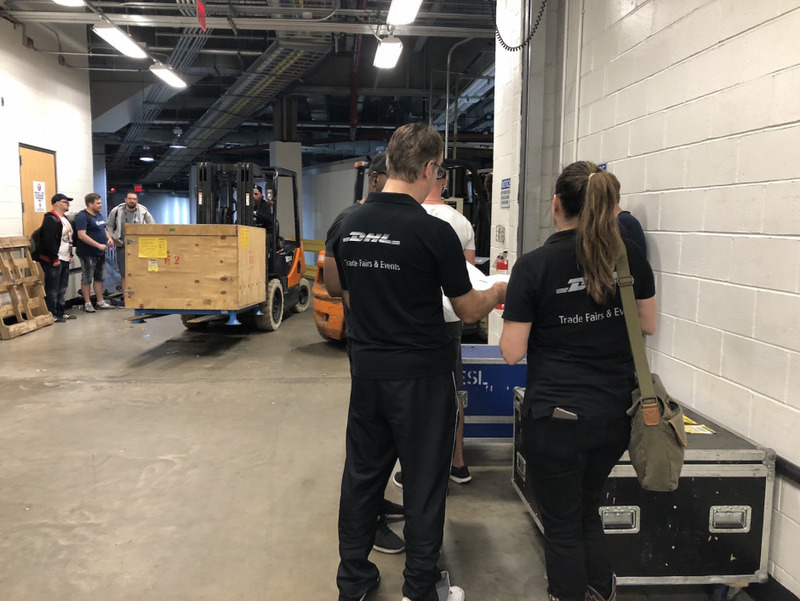 Most of the time you don't see what’s going on behind the scenes, or how much work and effort goes into organizing such a huge event. But a lot of people are involved before and after the occasion to make it possible. 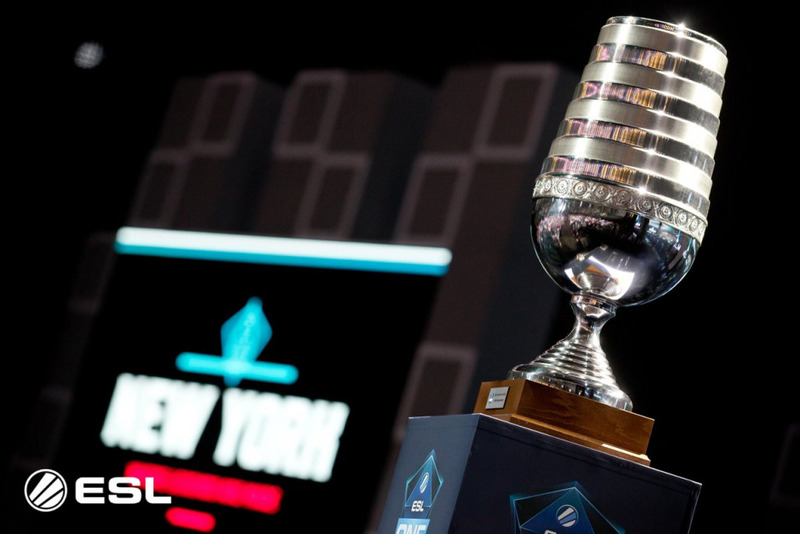 This year’s ESL One in New York is no exception. That’s what we are here for – to provide some special insights. 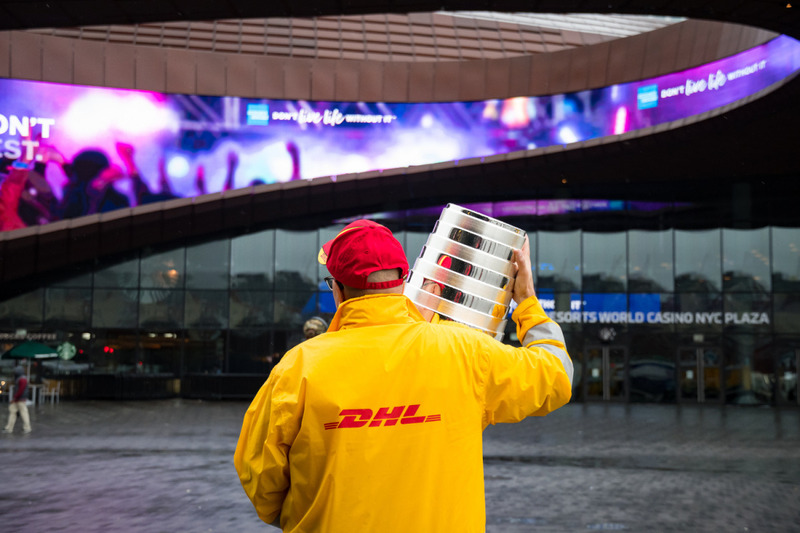 In these pictures, you can see some impressions from when DHL made on-time delivery of the last few ESL freight containers to the Barclays Center for the current weekend. We hope you find them interesting. 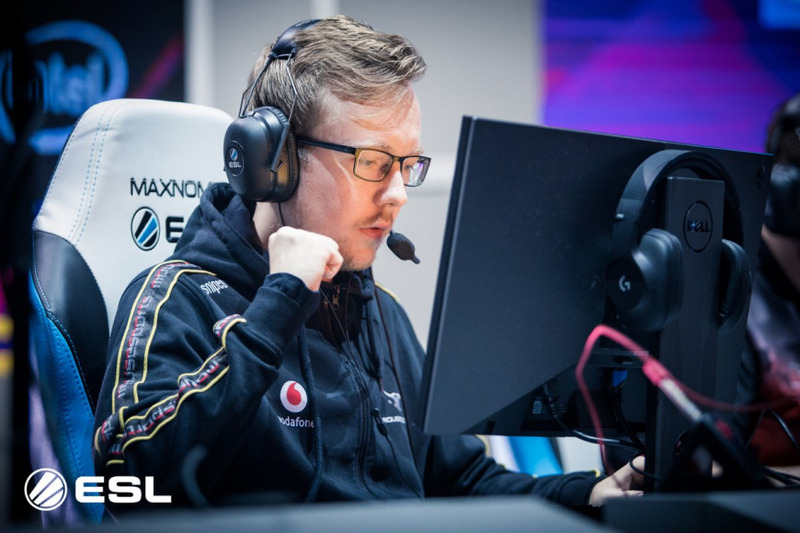 Today is the last day of our DHLxESL Truck spotting which could result in you getting the chance to watch the world’s best CS:GO players live. And don’t forget, if you are the lucky winner, you will receive two tickets for ESL One New York 2018 at Barclays Center, 29/30th September. If you see us, come up and chat. 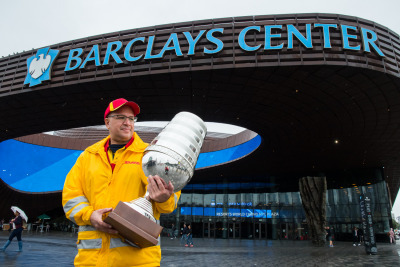 Today, we can be found at Barclays Center for the whole day. Hurry up guys, join in! The ESL One New York 2018 playoffs begin today at Barclays Center, Brooklyn! The quarter finals are ready to rumble while it was a tough battle to reach the last two days. The doors open at 9am local time (GMT-4) while the first match between Team n0thing and Team brax1wnl starts at 11am. Next up will be mousesports vs. NRGgg at 1pm and then TeamLiquid vs. GambitEsports at 5pm. We will cover the whole day for you with useful and interesting information as always. Stay tuned! The group stage is over and we have found our four final teams, who will be fighting for the trophy on Sunday. The four teams who are going to the playoffs are mousesports, NRG eSports, Team Liquid and Gambit Gaming. 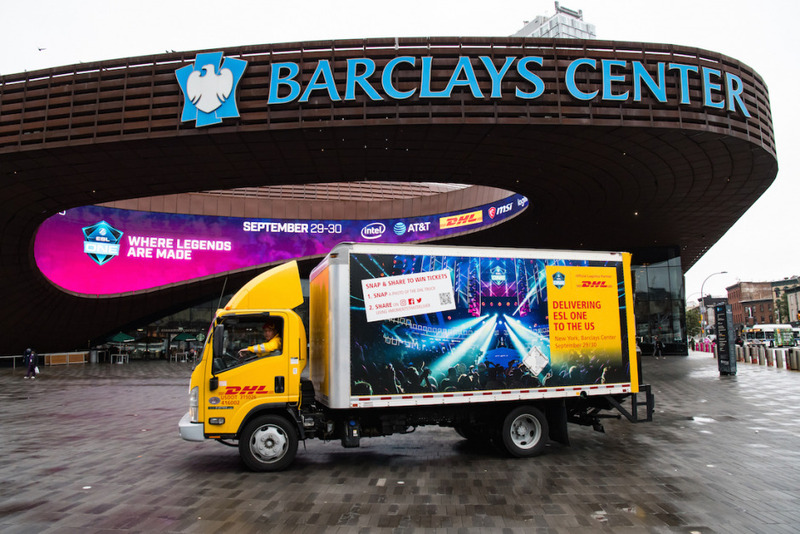 Our DHLxESL Truck will be in front at the Barclays Center the whole day tomorrow when the final decision will be made on which lucky fans have won tickets for the weekend. To everyone attending tomorrow, we just can’t wait to see you all at the arena – we know that you will witness some exciting games and have a lot of fun. We will be back tomorrow with live coverage and further interesting stories. Stay tuned, and we’ll see you tomorrow. 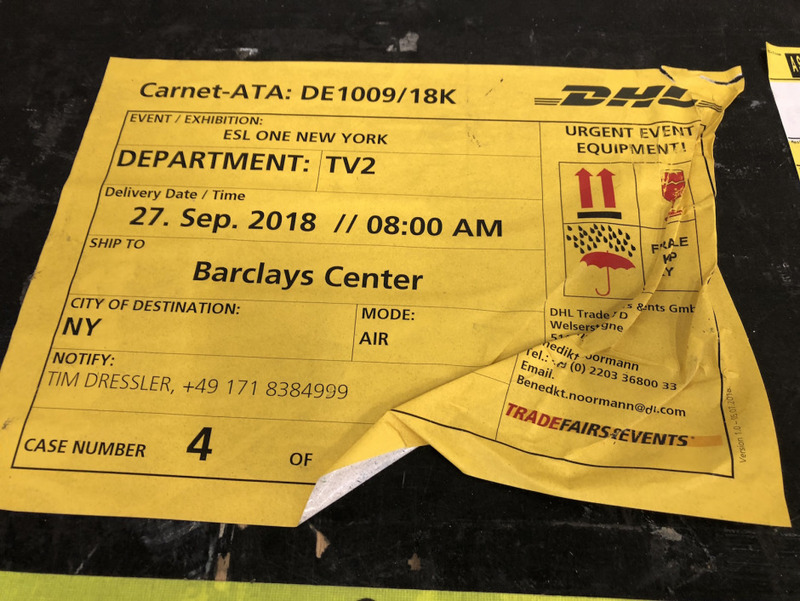 As promised, we want to give you some special insights in our blog about our work at DHL on this week’s ESL One event in New York. We would like to share some interesting pictures with you guys. As you know, we have taken care of all the logistical requirements to ensure that everything is planned to perfection. 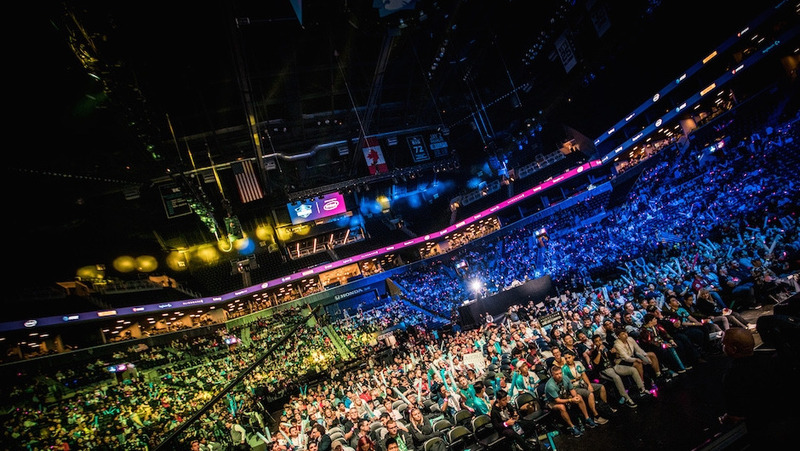 From arcade to Barclays Center, gaming has come a long way. It started with games such as Spacewar and Asteroids in which players could get their names on the scoreboard. Back in the days when the venues were small but big enough to hang with friends and take each other on in 1:1 games, it was a blast. 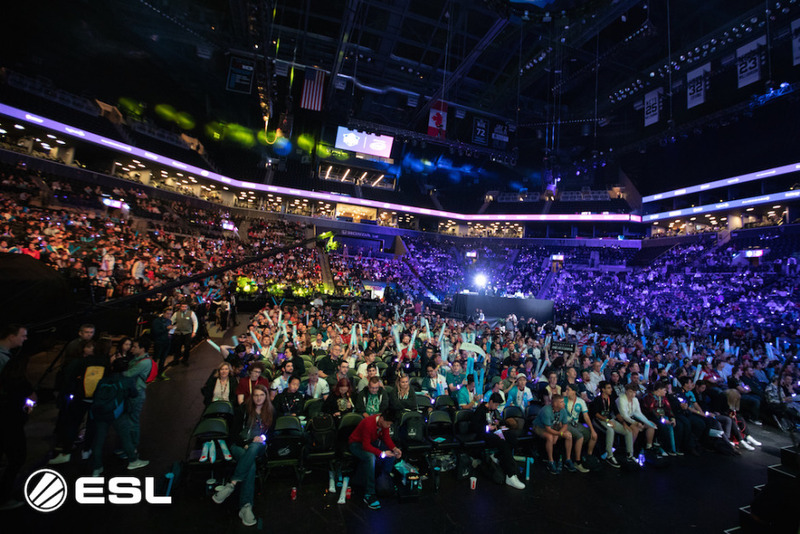 Nowadays, everything has gone big, and pro players are competing on the big screen in big venues such as the Barclays Center in Brooklyn. 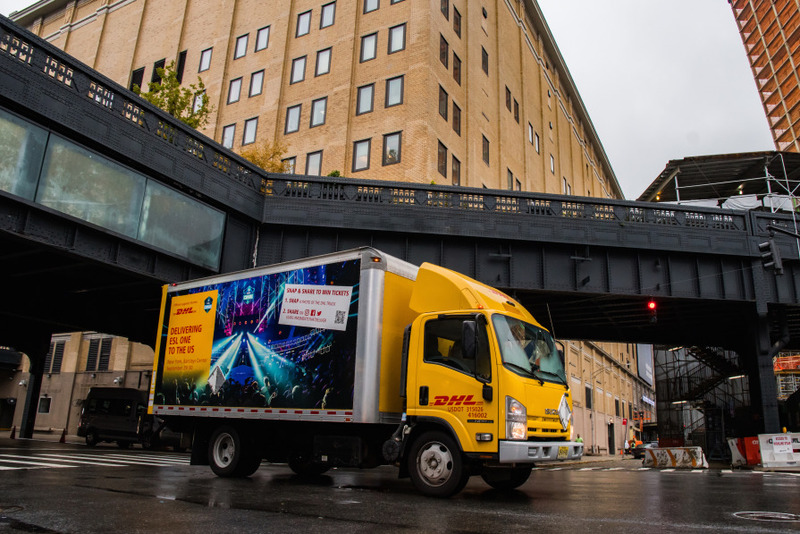 With partners such as DHL, almost everything is possible. 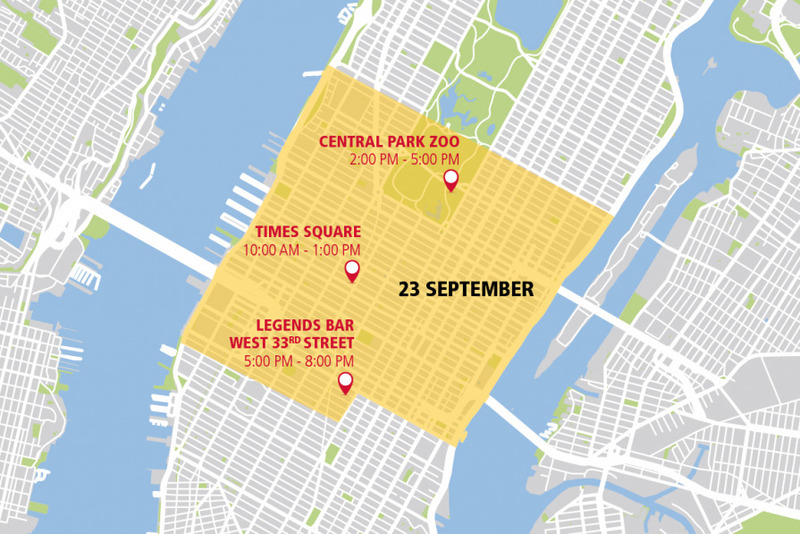 The logistics are the most important thing for an event like this. 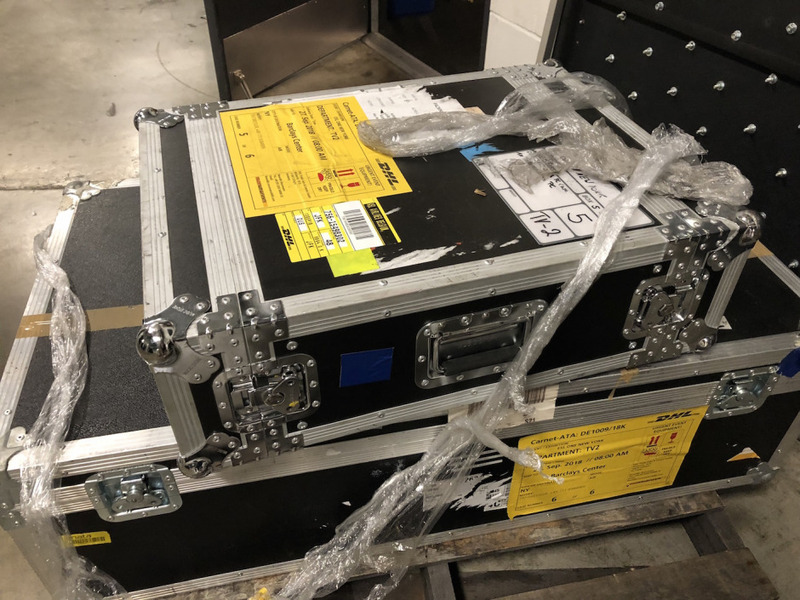 Electronics, chairs, the stage and a lot more heavy stuff has to be transported and assembled for this huge event. 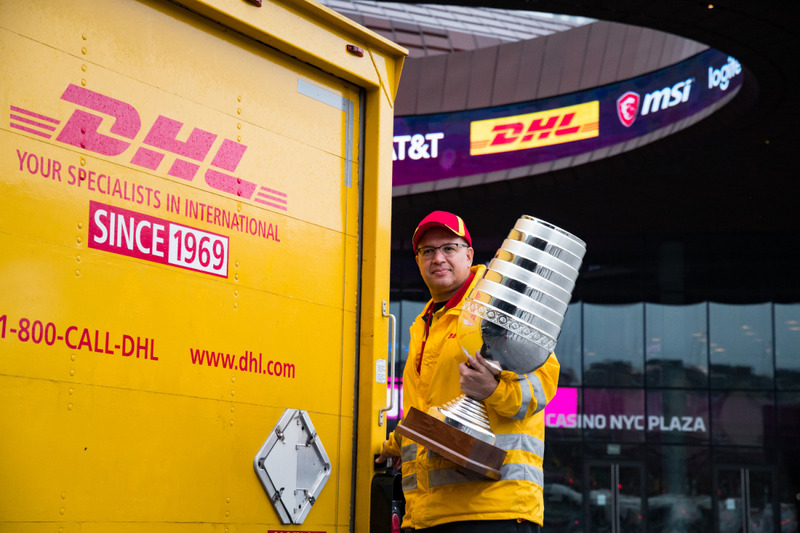 In summary, esports has made a huge jump in recent years, but it would not been possible without the help and expertise from partners such as DHL. North America has a huge fan base and many players who have formed up into in clans plus excellent venues and perfectly organized tournaments. It just keeps getting bigger and bigger. 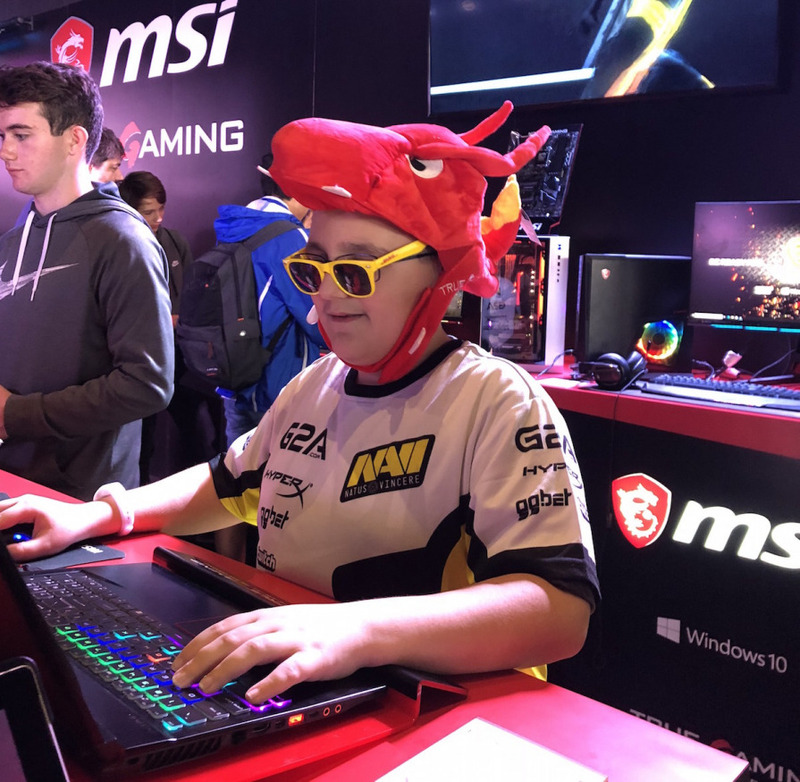 So, guys, we are pumped for this weekend’s event at the Barclays Center, and we expect more than 15,000 fans to come through the doors each day to celebrate esports. Join us! Today is the last day of the group stage matches before the final day tomorrow when the playoffs with the celebrations at Barclays Center can begin. About today’s matches, we will see the last two battles between Gambit Gaming and NAVI.GG.BET, followed by G2 Esports vs. NRG eSports. Later this evening, we will know, who is going to the playoffs and has the chance of winning this spectacular event. The day is almost over, but the group stage battles have been utterly absorbing today. 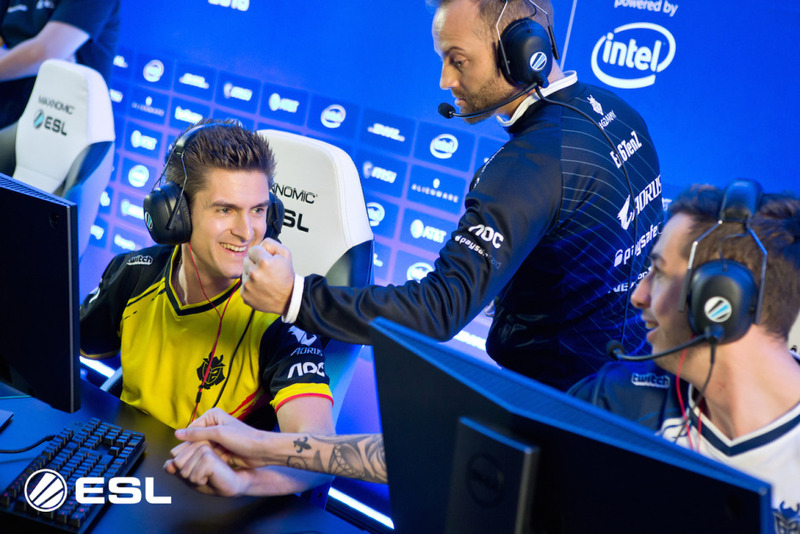 NAVI.GG.BET defeated Fnatic with a 2:0 sweep while FaZe Clan lost against NRG eSports by a score of 0:2. Gambit Gaming lost against mousesports with 1:2 and tomorrow will be the last day of the group stage competition. G2 Esports challenges Team Liquid for the playoffs while Gambit Gaming have to fight against NAVI.GG.BET. We will be back tomorrow with live coverage and further interesting stories. Stay tuned, and we’ll see you tomorrow. The group stage games are taking place right now, and the preparations for the big event starting on Saturday are in full swing. We have some exclusive insights into the group stage battles for you. 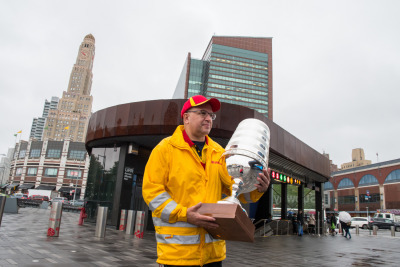 Also, take a look at beautiful New York, the DHL truck and of course the winners’ trophy! Welcome to the Big Apple, the city that never sleeps. 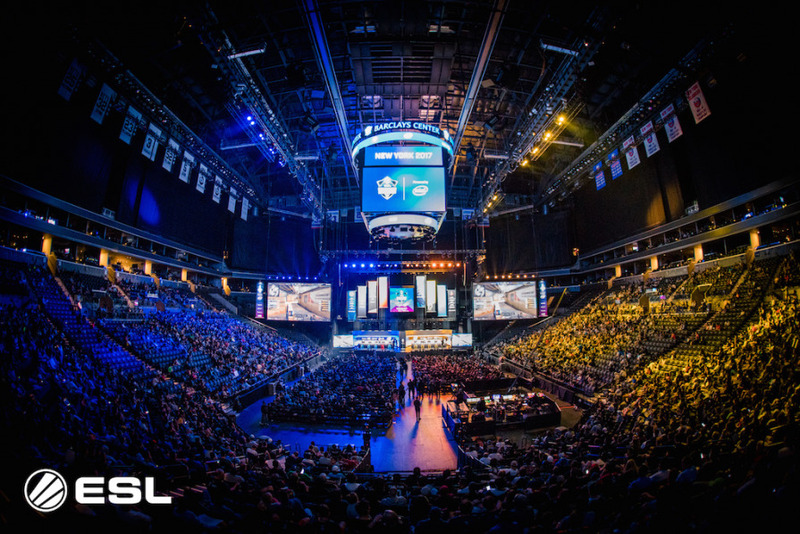 Brooklyn will be at the heart of esports for the next few days, and Barclays Center in Brooklyn has been kitted out for some amazing CS:GO games. Later today, we will know the finalists for the last group stage tomorrow, and we are delighted for the lucky fans who will be witnessing the event live at the Barclays Center. If you can’t wait to see some nice play, don’t hesitate to join the viewing party at the Waypoint Cafe. Entry will be free, and there will also be food and drinks, of course. For more information follow this link. New York is the host for the third year in a row, and there is no better place to hold this fantastic tournament. 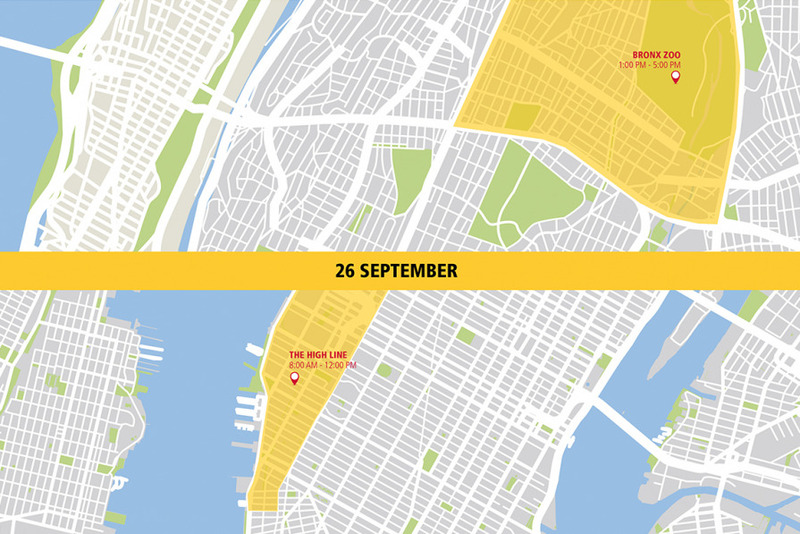 With the logistical support from DHL and the energy that oozes from this amazing city, we’re feeling positive about some special days ahead. The arena is ready to rumble – what about you? 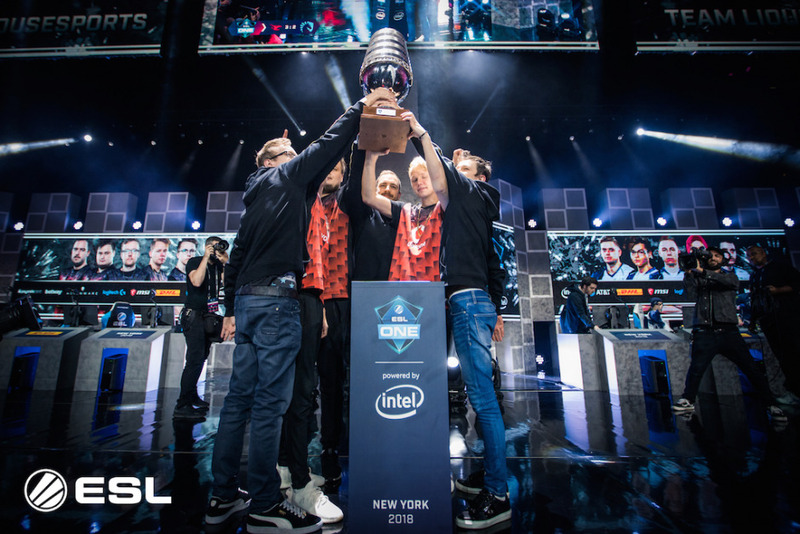 This week’s tournament in New York will take one team closer to the million-dollar prize at the end of the Intel Grand Slam season. The first team to win four events out of ten will be rewarded with the $1,000,000. The competition started with the kick-off event in Cologne on 4th July 2017 and ends when one team reaches four wins. 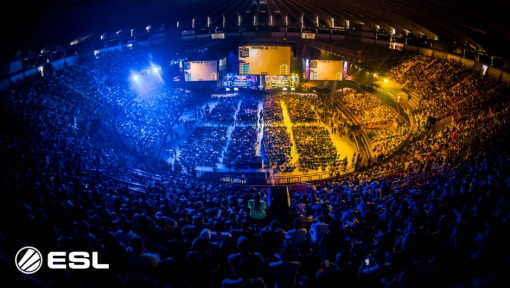 The Intel Grand Slam is a relatively new and interesting esports competition. 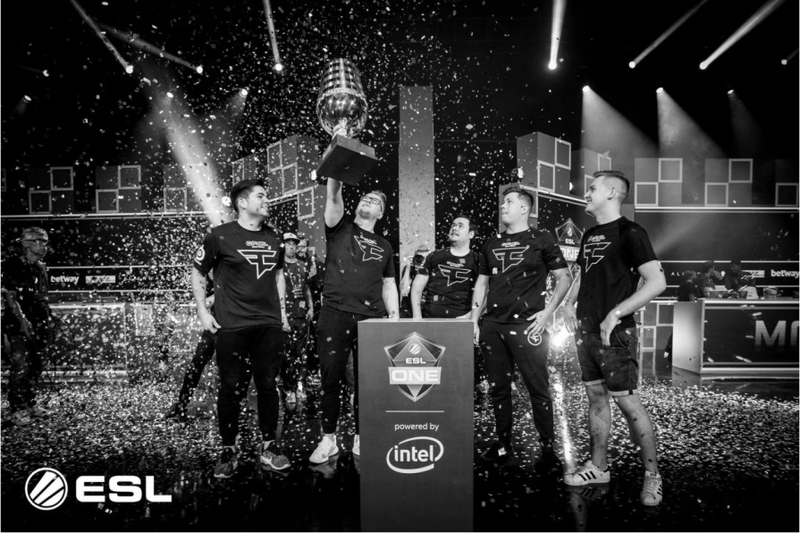 It is hosted by ESL and Dreamhack, and the achievement of the first winners is bound to echo through esports history. 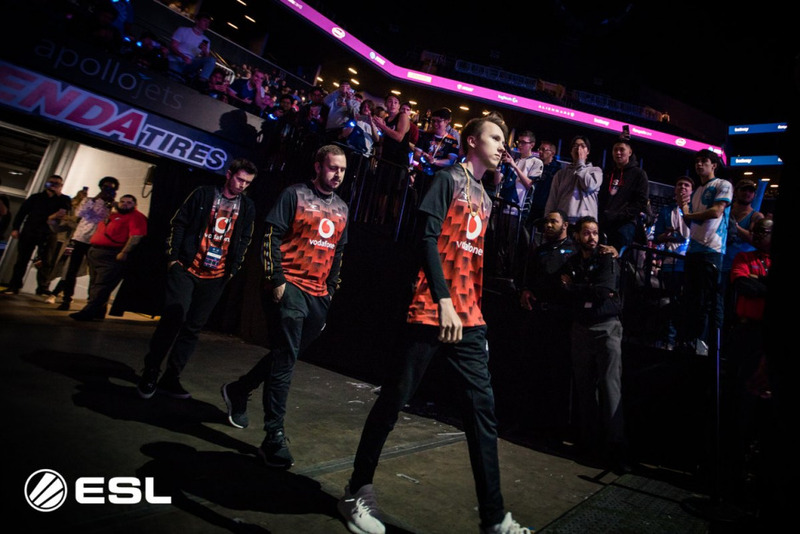 Right now, FaZe Clan are in the lead with three wins, so it’s fair to assume that they are really pumped up for this week’s event in New York – win number four is in sight! 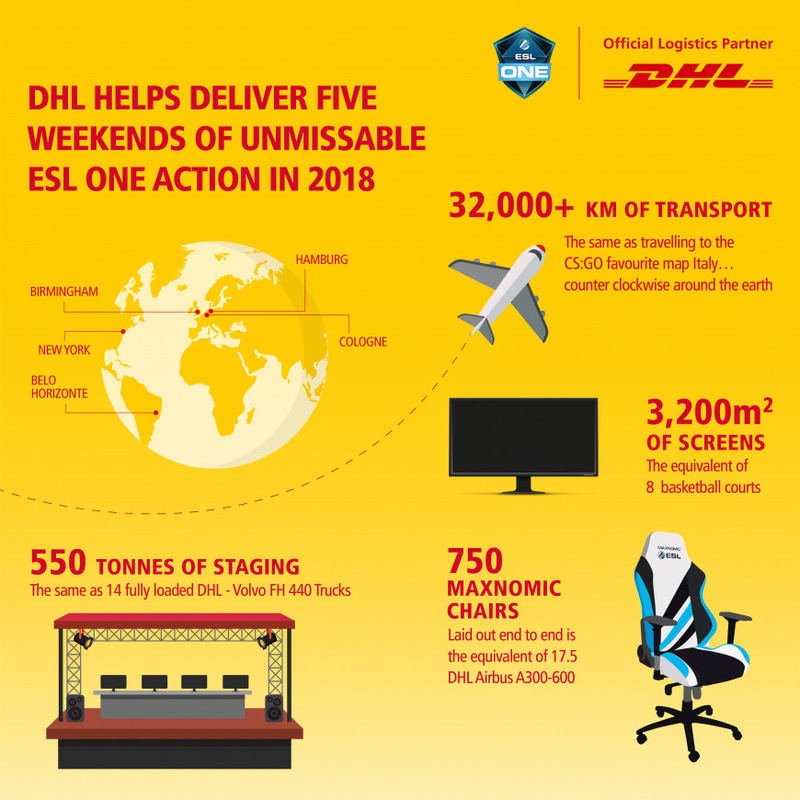 DHL is the official logistics partner for ESL events and will also be taking care of the arrangements for future get-togethers, the next of which is the ESL One Event in Hamburg on the weekend of 26th - 28th of October, with DOTA 2 as the featured game. Speaking about Counter Strike, the modus on Saturday will be best of three, meaning two wins will take you through to the next round, and the grand finale on Sunday will be a best-of-five match with 3 wins in the rounds needed to climb the esports mountain in Brooklyn. Welcome esports & Counter Strike fans! Only two days to go before the playoffs and the start of this year’s North American ESL One Counter Strike tournament! The group stage is in full swing and will be finished on Friday, followed by the playoffs on Saturday. Tomorrow we will let you know, which teams will be participating for the playoffs but for now, we would like to provide you some other information about this huge event. The game will be none other than the most famous Counter Strike: Global Offensive, and 8 teams will compete for the main prize of $250,000 and another Intel Grand Slam win which we will look at more closely in a post later on. 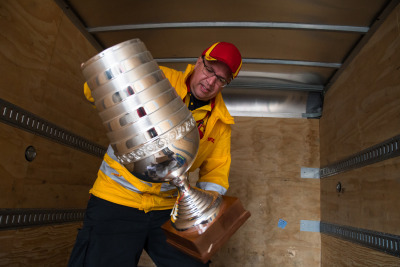 And, of course, all the teams are dying to win this beautiful Trophy. 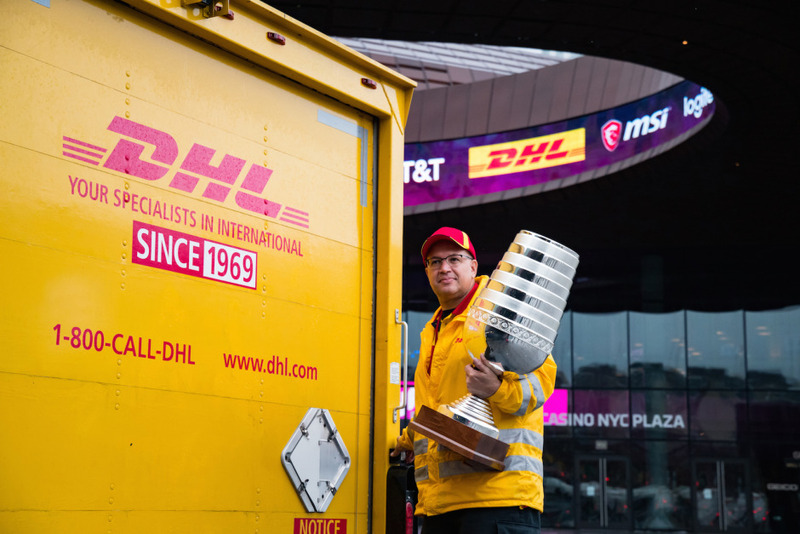 As you all know, DHL is the official logistics partner for ESL events and we thought you would like to hear some interesting and impressive facts about this year’s event in New York. 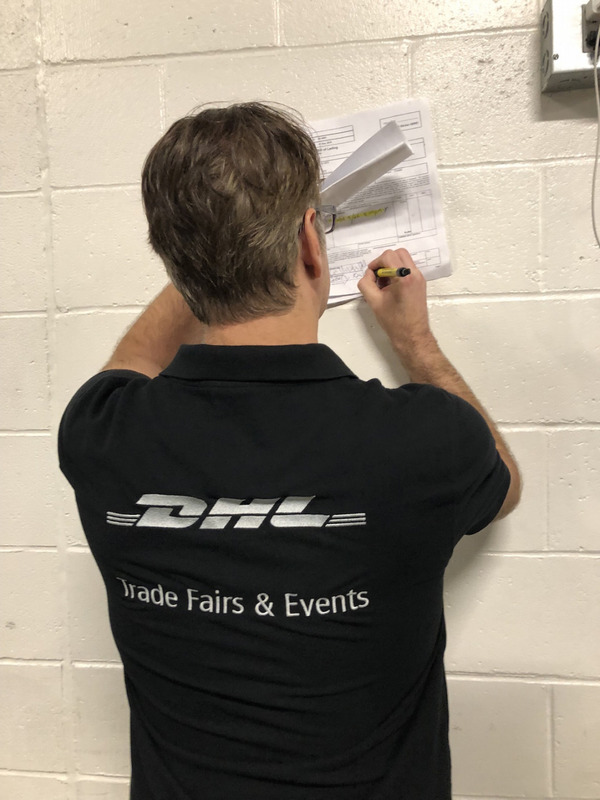 DHL took over event logistics in Birmingham, England, in June. 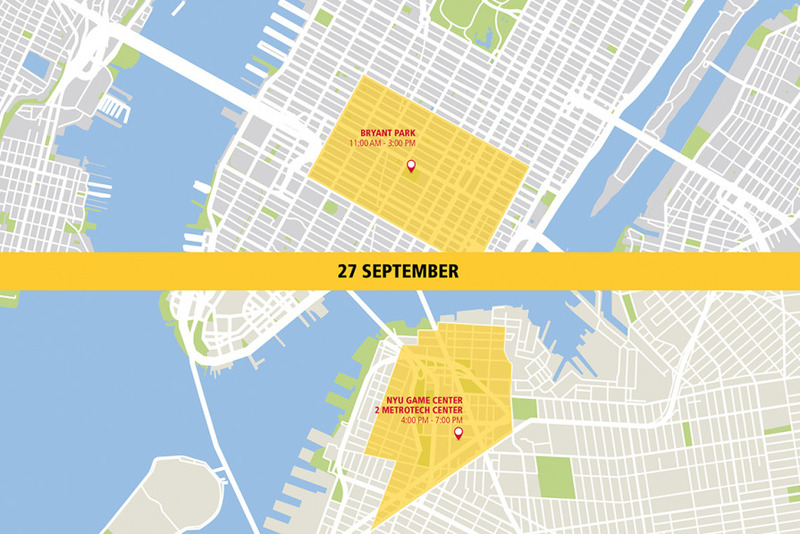 You may not be aware, but 750 chairs had to be provided for this event, which, laid out to end, would be the equivalent of almost 18 DHL Airbus A300-600s. And now, an interesting fact for the players. 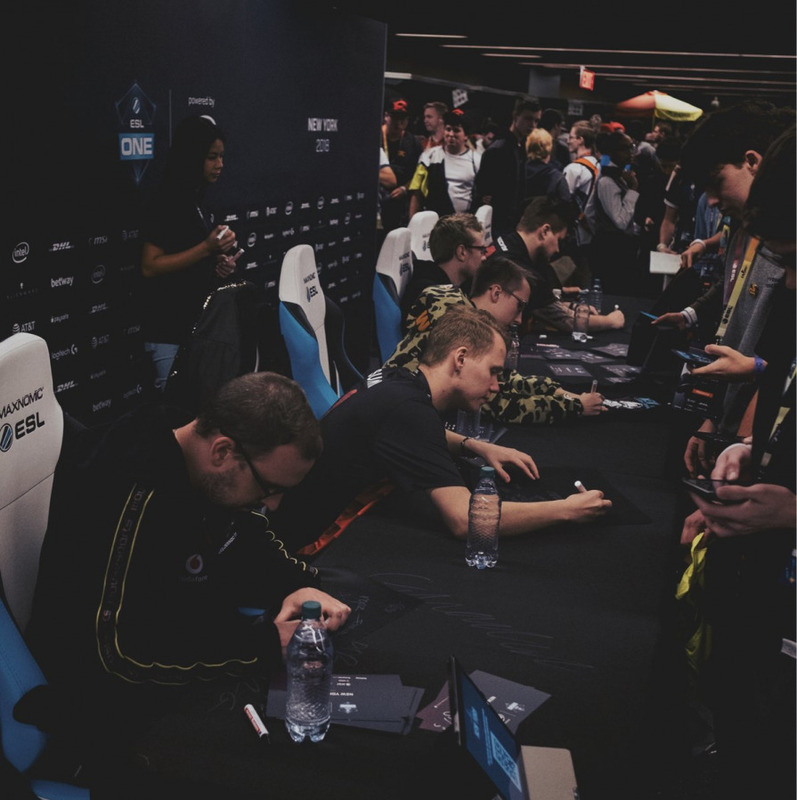 More than 32,000 delivery kilometers were covered to make this event possible, which is the same as traveling to the CS:GO map, Italy, counter clockwise around the world. The big Counter Strike event is on its way, but first, we have a special insider tip for you guys. It’s called “Playtest Thursday”. And as the name suggests, you can bring your own game and play, discuss and practice to bring your game up to the next level. Every Thursday at 5pm, players, designers and esports fans will meet at the glorious NYU faculty to get their “game groove” on. But this get-together is not just a good old lan-party – here you can refine designs, push mechanics and get feedback from experts. It doesn't matter if it’s a commercial game or your own multiplayer gamer you’ve been working on for months. Anything is welcome. 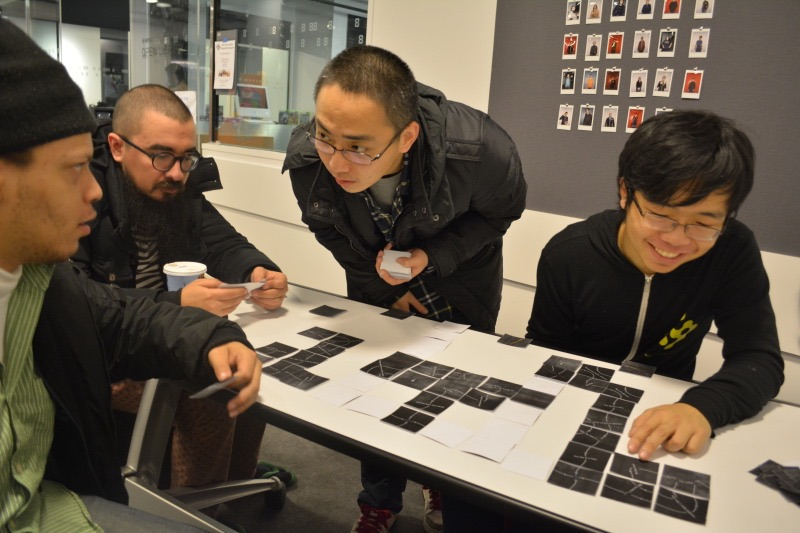 What’s more, games tested at “Playtest Thursday” have gone on to be accepted at IndieCade, the IGF, Come Out & Play, Casual Connect, and many more. So spread some love and meet people with the same passion for esports and board games as yourself. 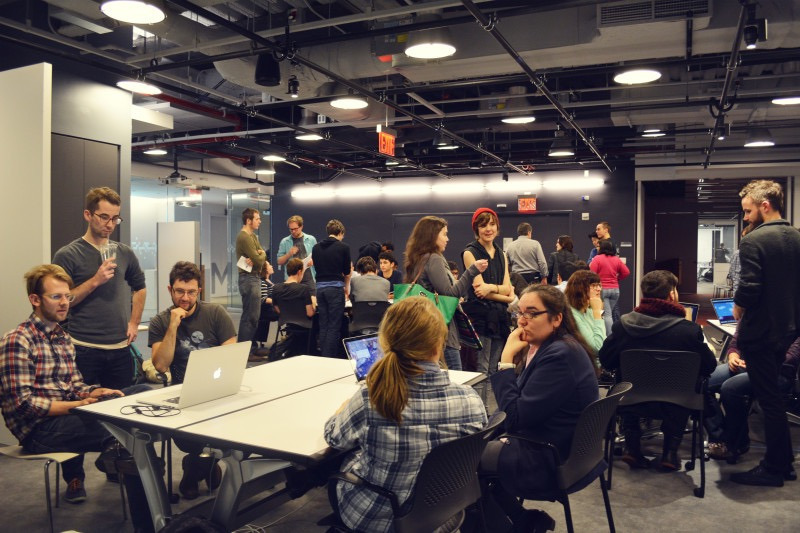 All you have to do is simply show up at 8th Floor on the open work area or Lecture Hall (red room) by going through the NYU Lobby. And by the way, you will get some free pizza. Now ain’t that just beautiful? All information for this event can be found here. As mentioned before, we have organized a fabulous campaign and competition which could result in you getting the chance to watch the world’s best CS:GO players live. Should you be the lucky winner, then you will receive two tickets for ESL One New York 2018 at Barclays Center, 29/30th September. So, you guys, keep your head up and your eyes peeled! There are only a few days to go, and the prize is huge! What do you have to do to win tickets? It’s pretty easy, really. Just take a photo of the truck and post it on Instagram, Facebook or Twitter using the #MomentsThatDeliver hashtag. With a little luck, you could be one of the lucky ticket winners for next weekend’s event. 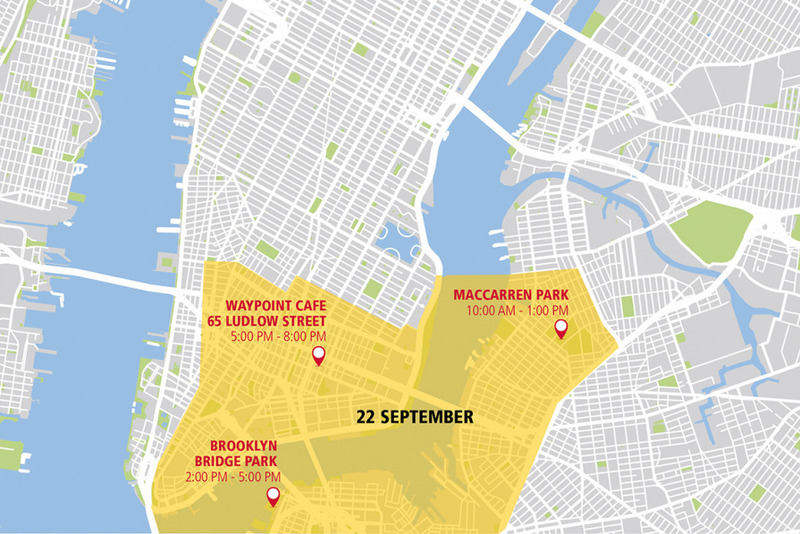 To all our New Yorkers out there: Pop out your mobile and take a picture! You will be generously rewarded! Remember, we are talking about the CS:GO event this year in the USA. So, load your gunpowder and fire away! 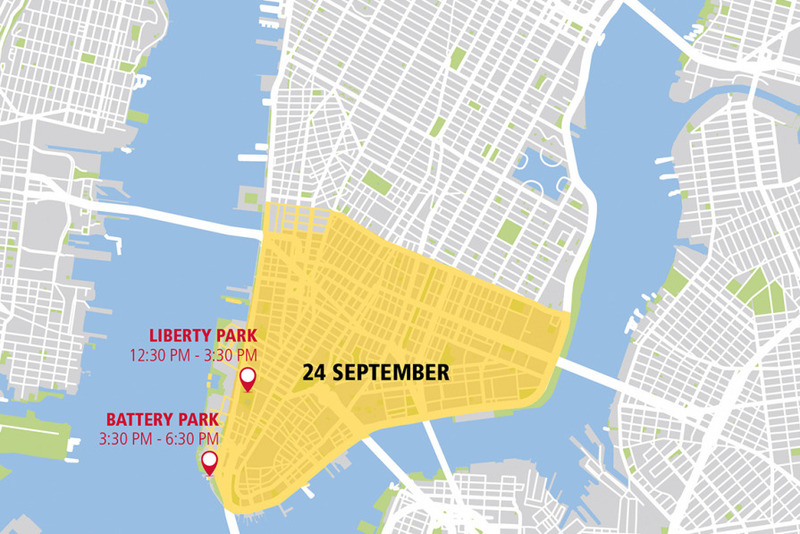 New York, get ready! Counter Strike is back in town! 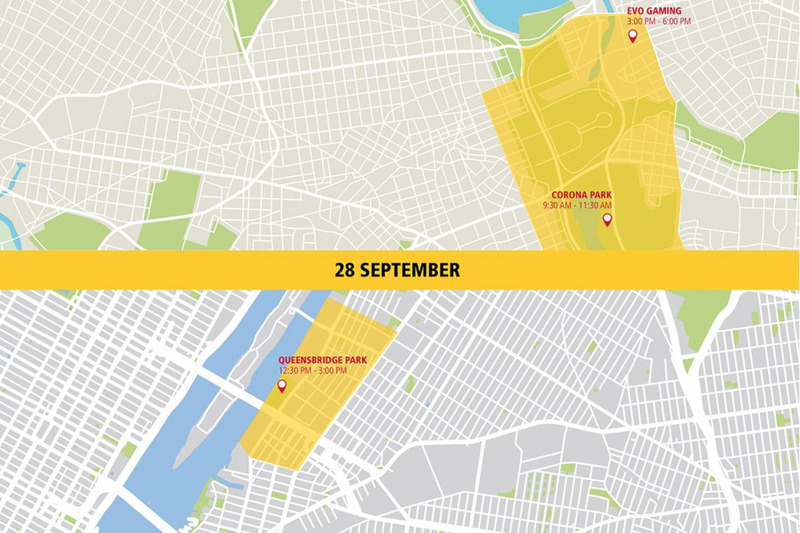 World class Counter-Strike returns to the Big Apple this week. 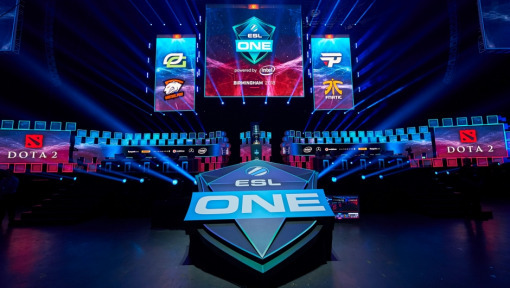 On the 29th to 30th of September, the majestic Barclays Center in Brooklyn will be the epicenter for esports fans as ESL One makes its third annual visit to Barclays Center. The eight best CS:GO teams on the planet are battling for their share of a $250,000 prize pool and chance of an Intel Grand Slam win. But firstly, let’s take a look back at this year’s previous CS:GO events. 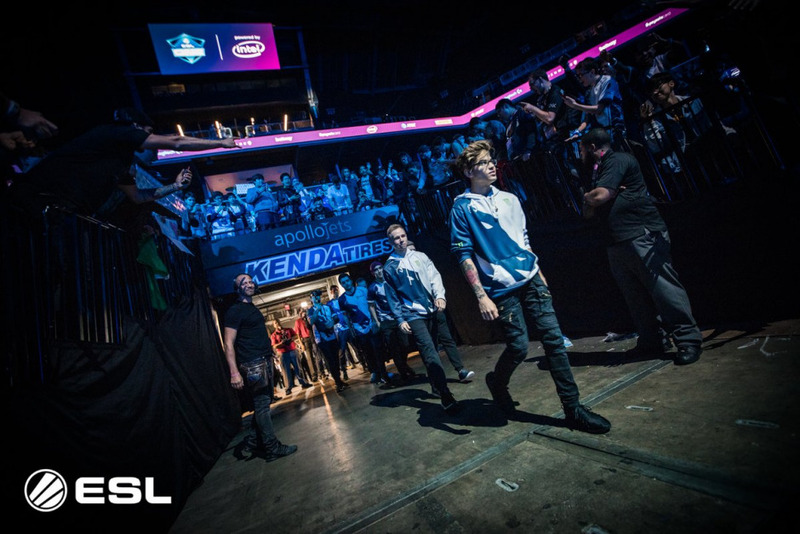 The first CS:GO tournament took place from 15th - 17th June in Belo Horizonte. The lucky winner was FaZe Clan with a nice $100,000 present and a shiny trophy. 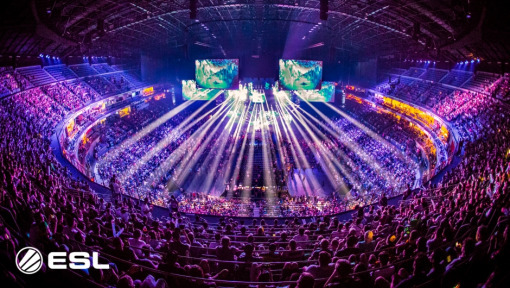 The Counter-Strike: Global Offensive tournament took place from 6th - 8th July 2018 at Cologne’s Lanxess Arena. 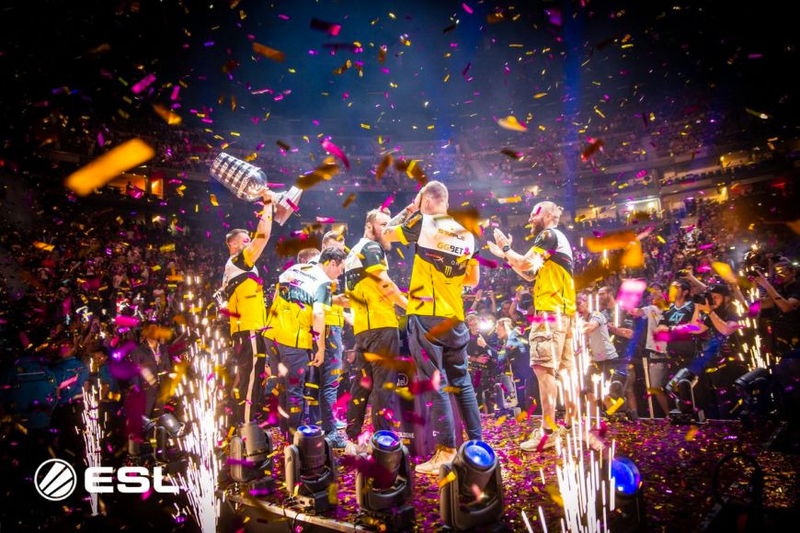 NAVI.GG.BET were the deserving winners and took the trophy home with a 3:1 win in a spectacular best of 5 match against Berlin International Gaming. The ESL Cologne event was special for DHL, because more than 100 tons of materials and equipment were delivered to Cologne at the beginning of the week to make Germany’s biggest CS:GO event possible. 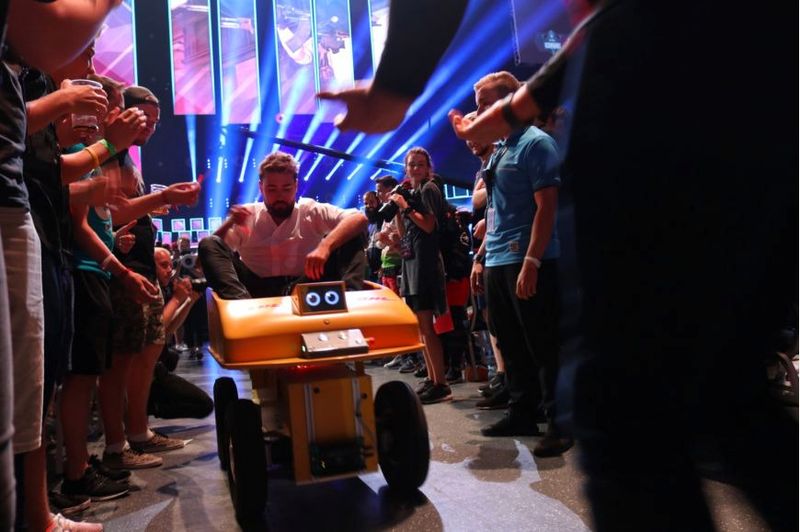 DHL’s EffiBOT surprised fans with a package, delivered at lightning speed, with famous influencer SPUNJ arriving in style. 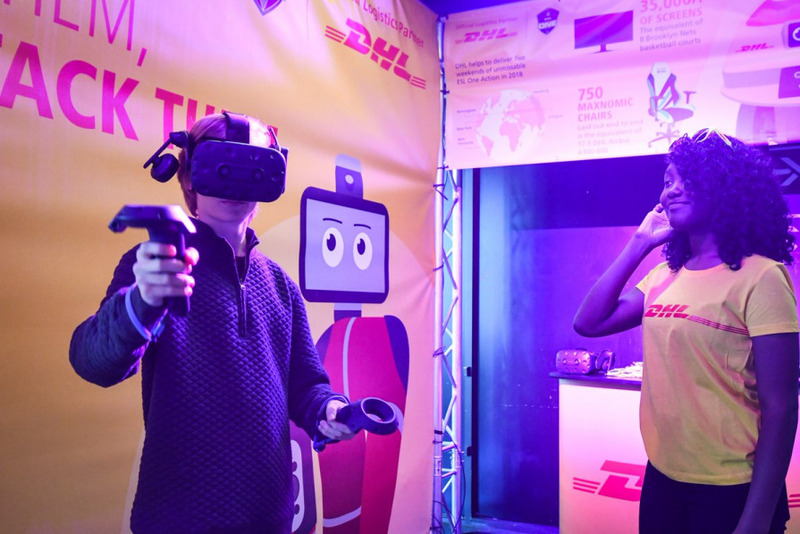 DHL also showed off some spectacular innovations like the DHL Parcelcopter, a large drone which can deliver parcels at speeds of up to 70km/h. 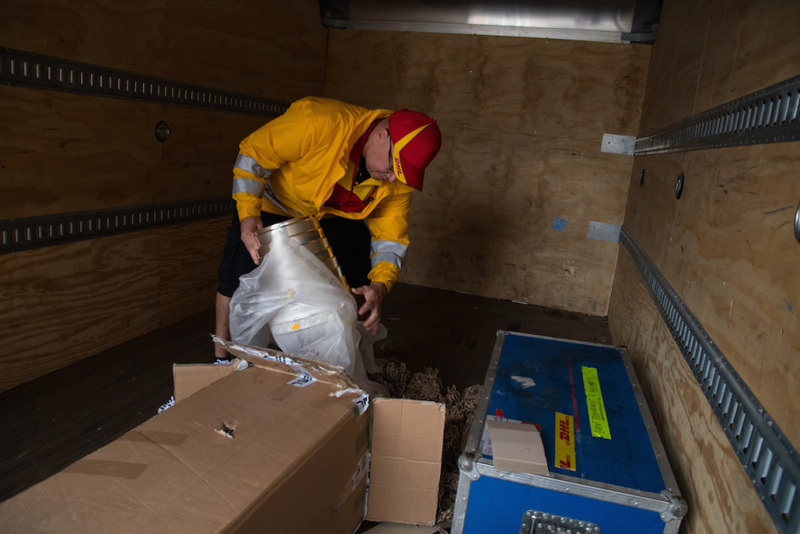 DHL robot Sawyer performed various tasks, adapting them to the needs of business. 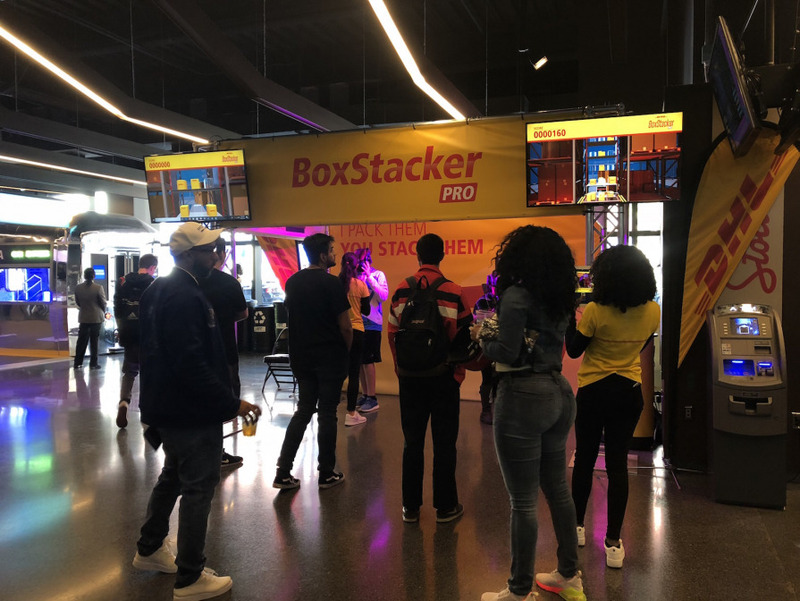 DHL’s BoxStacker Pro, an innovative VR game, was also on show. But that’s all in the past. 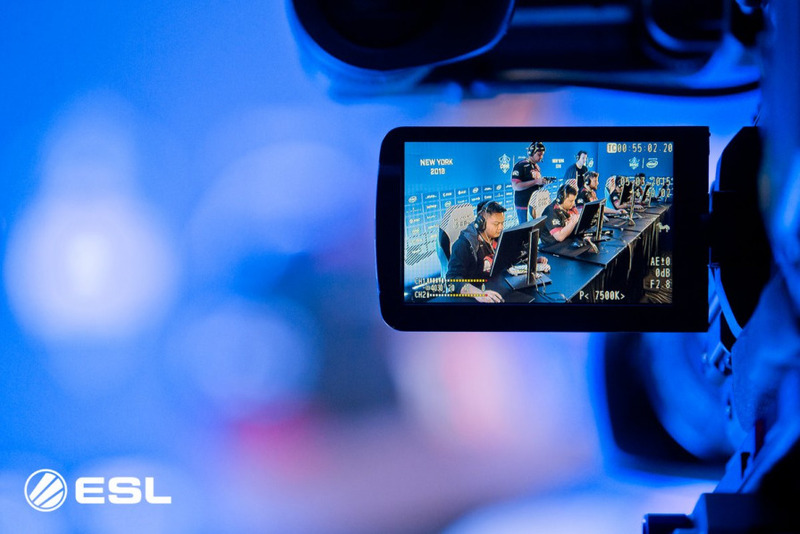 New York is the future and we are really excited to be covering this fantastic event for you guys and CS:GO. 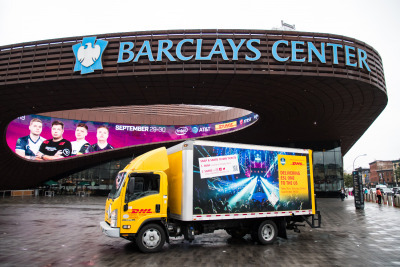 Stay tuned, and, don't forget to spot our DHLxESL Truck and win tickets for ESL One New York! The countdown is on as ESL One New York 2018 gets ever closer. 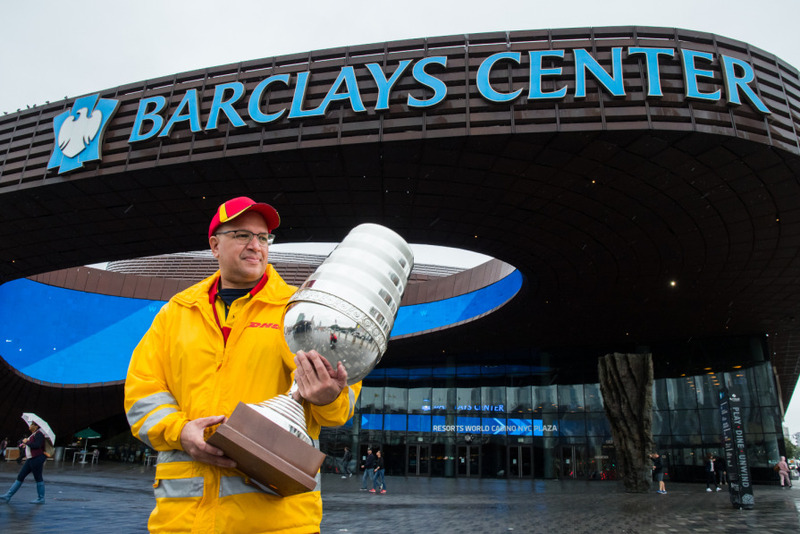 This morning, we delivered the winners’ trophy to the Barclays Center where the world’s best CS:GO players will battle it out on Saturday and Sunday. 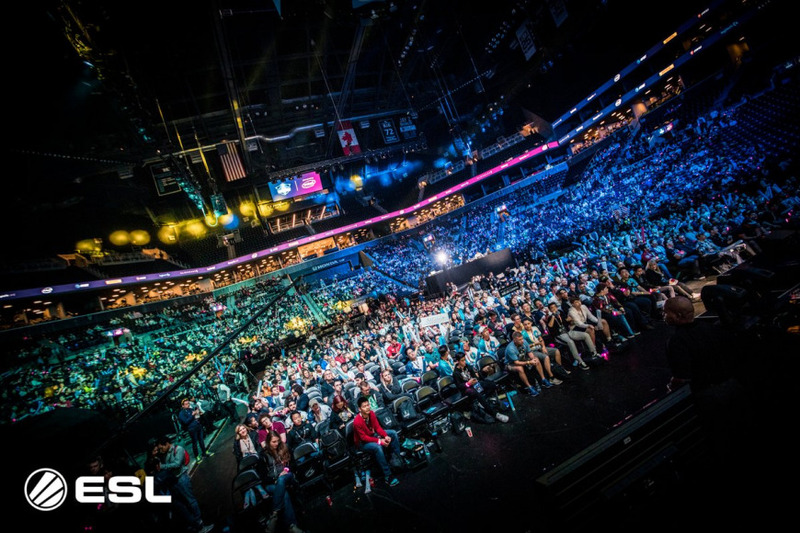 You still have a chance to win tickets for ESL One New York. 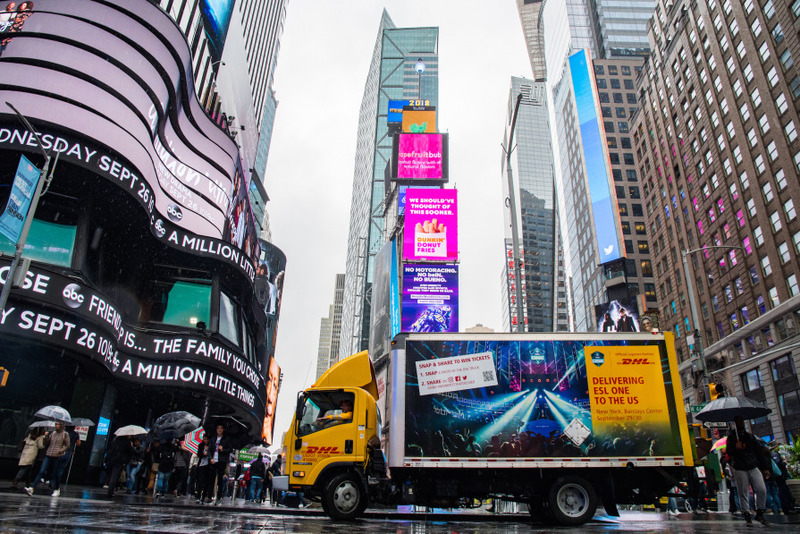 It’s real easy, just post a picture with the #MomentsThatDeliver hashtag on your social media channel of our DHLxESL truck driving the streets of New York or ‘like’ a post on our MomentsThatDeliver Instagram channel. Good luck! Not long to go now! 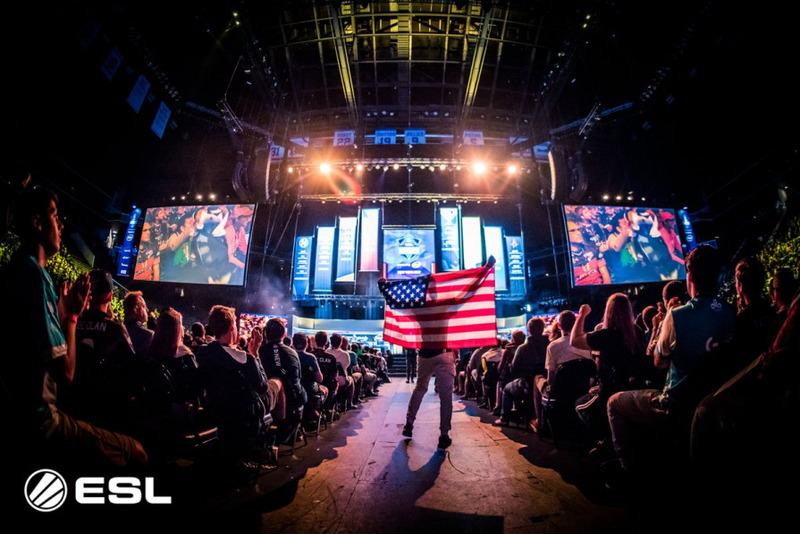 Next weekend, the Barclays Center will be hosting ESL One New York 2018 at which the world’s best CS:GO players will be going head to head. Have you already booked your tickets for the event? If not, we may be able to help out. 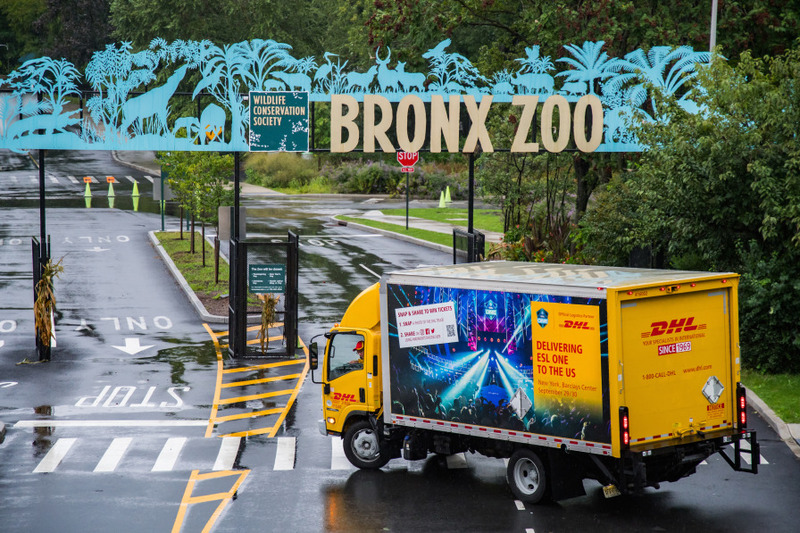 We will again be cruising the streets of New York in our DHLxESL Truck today. If you see it, take a photo, post it on social media with the hashtag #MomentsThatDeliver, and you might be one of the lucky winners of tickets for ESL One New York 2018! For further information about the competition, click here. Hi everyone! 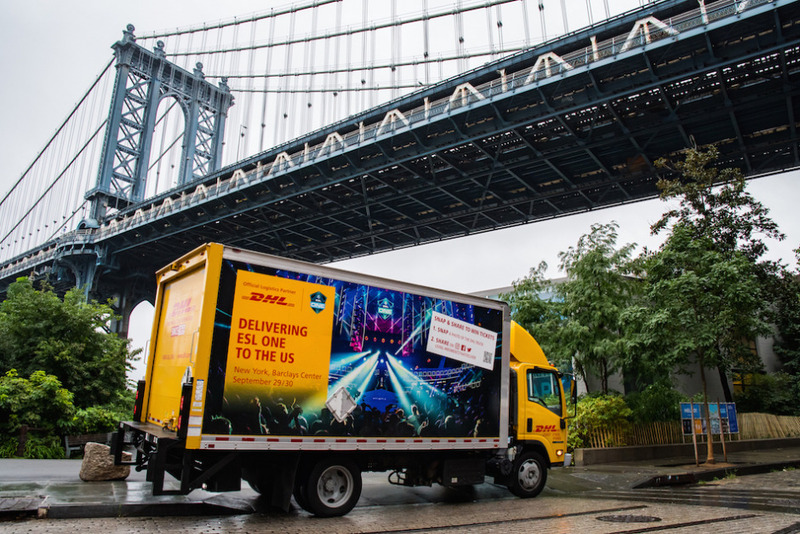 Today, we are once again out and about on the streets of the Big Apple in our DHLxESL truck, giving away tickets for the ESL One New York 2018. Maybe you saw us yesterday and have already photographed our truck and posted it on social media with the hashtag #MomentsThatDeliver? If not, then here’s another chance. Greetings from New York! 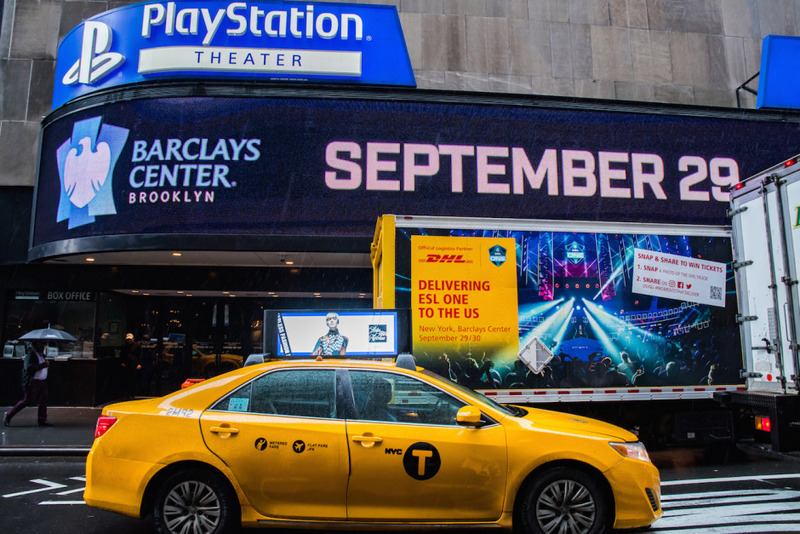 On the weekend of 29th/30th September, ESL One New York will be taking place at the Barclays Center. However, we will be out and about in the Big Apple earlier than that, because we are organizing a fabulous campaign and competition which could result in you being given the opportunity to watch the world’s best CS:GO players live. 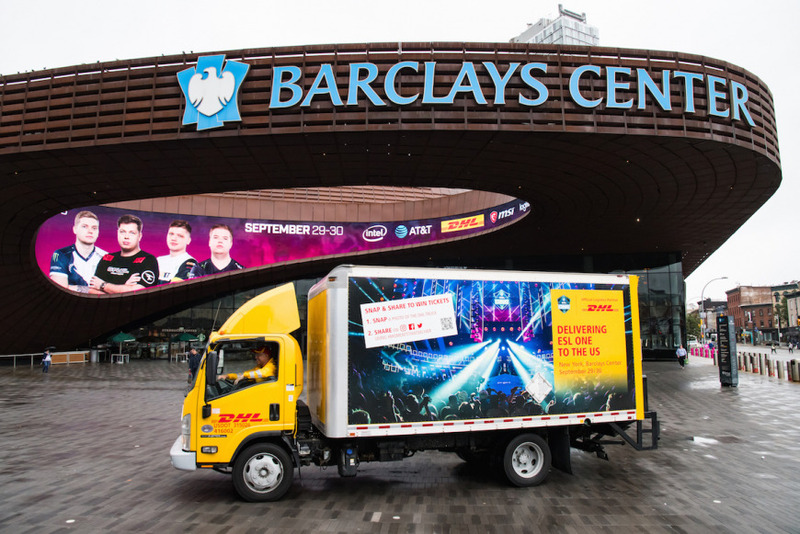 From today until the 29th of September, we will be roaming the streets of New York in our DHLxESL truck, giving away tickets for ESL One. All you have to do is photograph the truck and post it on Instagram, Facebook or Twitter using the #MomentsThatDeliver hashtag. With a little luck, you could be one of the lucky ticket winners for the event next weekend. Come and join us there! This could be your chance to win tickets for ESL One New York.